The Best & Cheapest International Courier & Cargo Logistics for Corporate Sector & their Commercial Shipments with our Extensive Worldwide Network Channel. It is Just a Matter of Placing Order & Online tracking the shipment.You can send Sweets, Gifts, Rakhis, Ganpati idols, Ganesh Chaturthi decorative items like Makhar, Lanterns, Multi colored cloths etc. 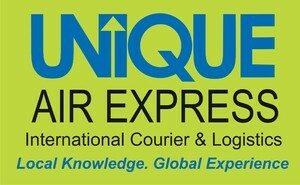 for rest of the year.Unique Air Express provides special Discounts for the Festivals like Diwali, Padava, and RakshaBandhan Akshaya Tritiya etc. We got a tremendous response for this Year’s Mango season as well. You can surely add more values to your Festival celebrations, Birthdays and Anniversaries by sending a token of love to your dear ones at any Time of the Year. For safety reasons or to comply with country specific legislation, there are some restrictions on what you can send through the International courier services. Generally it is delivered in 3-4 working days.